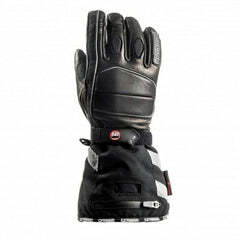 3 Season Soft Leather Waterproof Motorcycle glove using patented OutDry® Technology. This glove has a total laminated membrane to the back of the leather so cannot absorb water past the leather exterior so the glove does not become heavy with water in the rain. Also, the fingers will not pull out which is a massive frustration for so many riders!